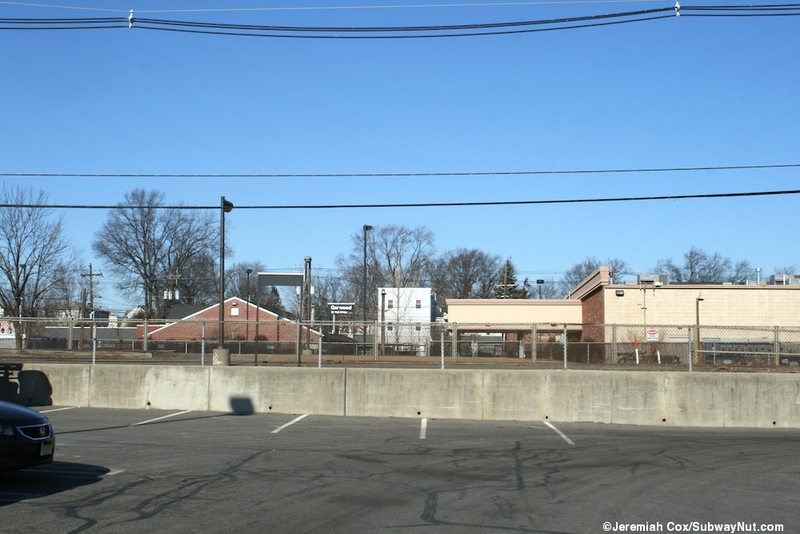 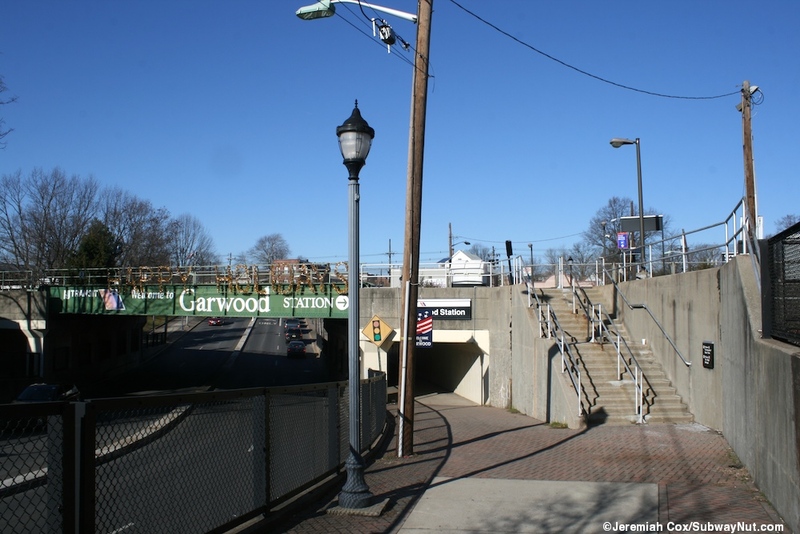 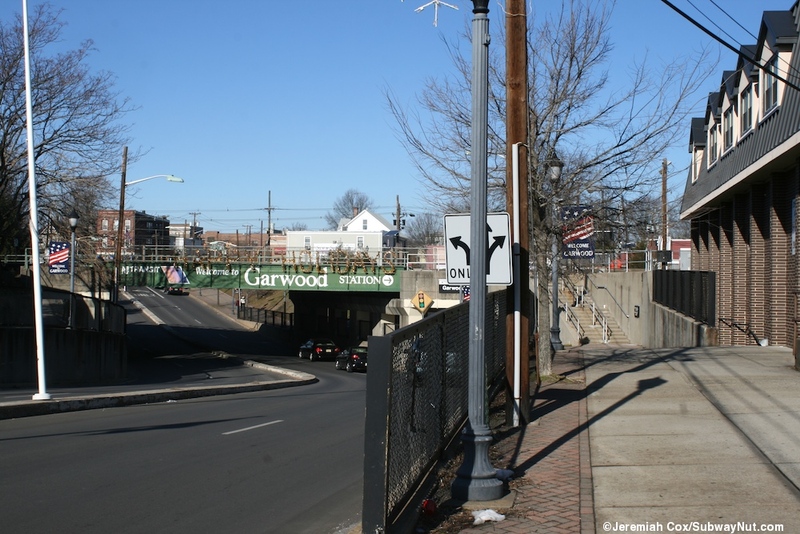 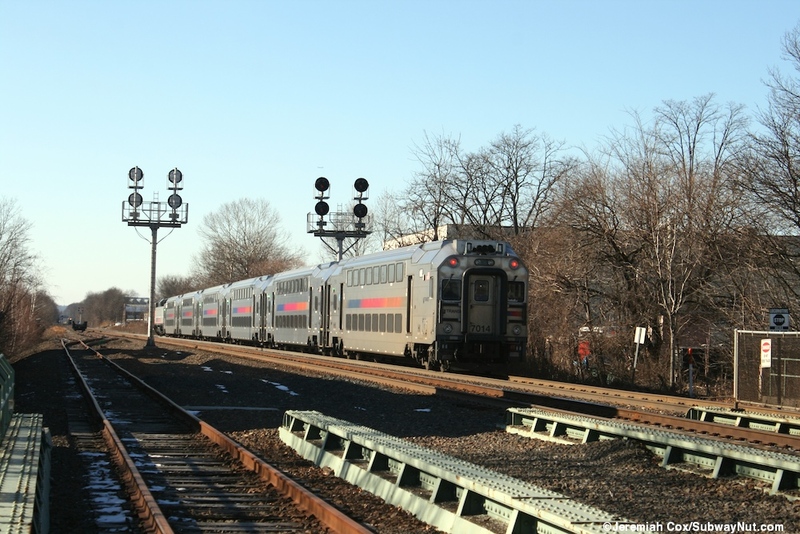 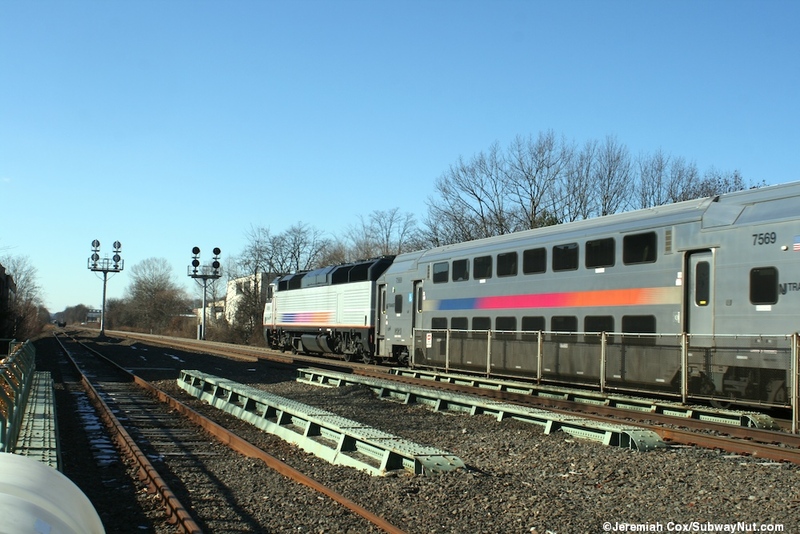 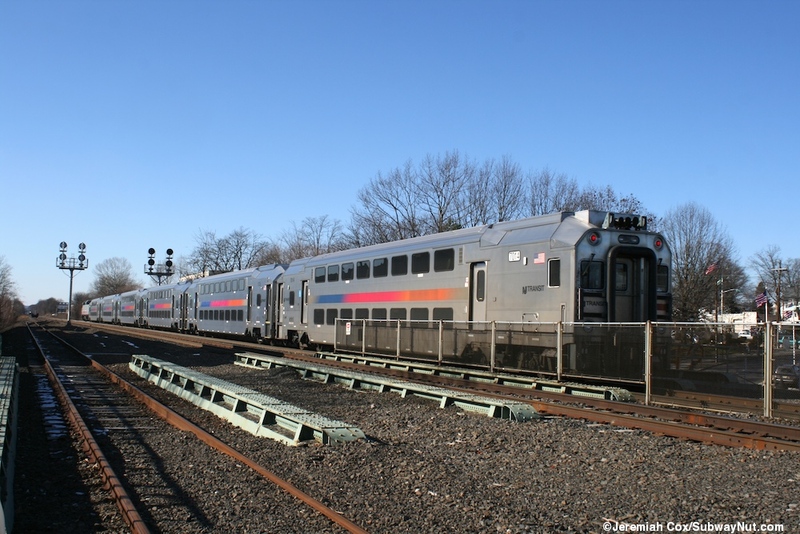 Garwood is the only stop on the Raritan Valley Line that many trains bypass. 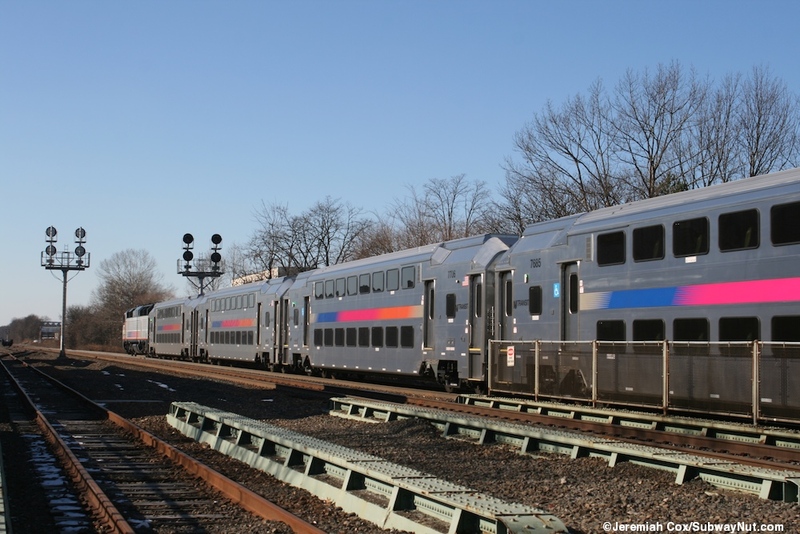 Only about half of the weekday trips stopping at the station and only two trips on weekends. 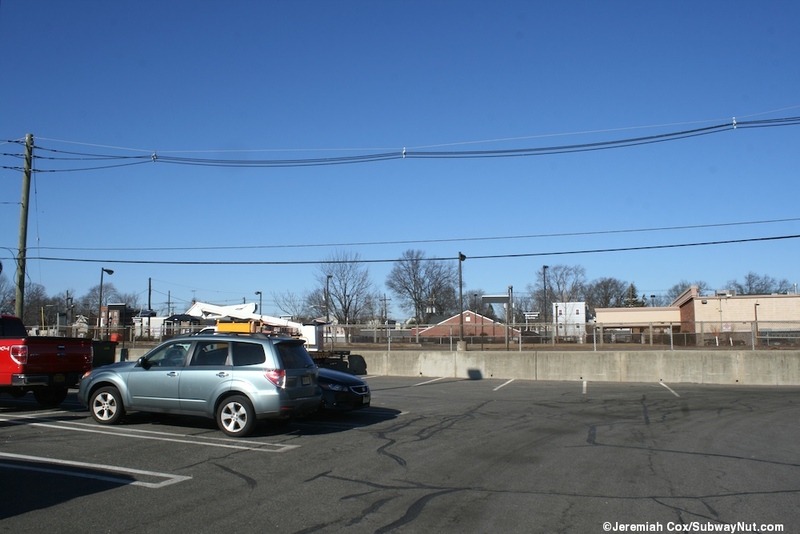 It lacks any official NJ Transit Parking. 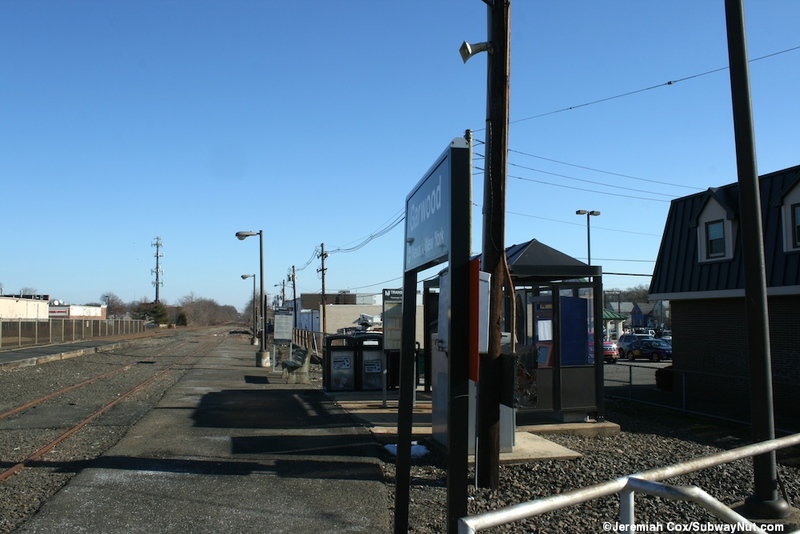 The station is extremely simple with two very short low-level side platforms that each contain a single bus shelter. 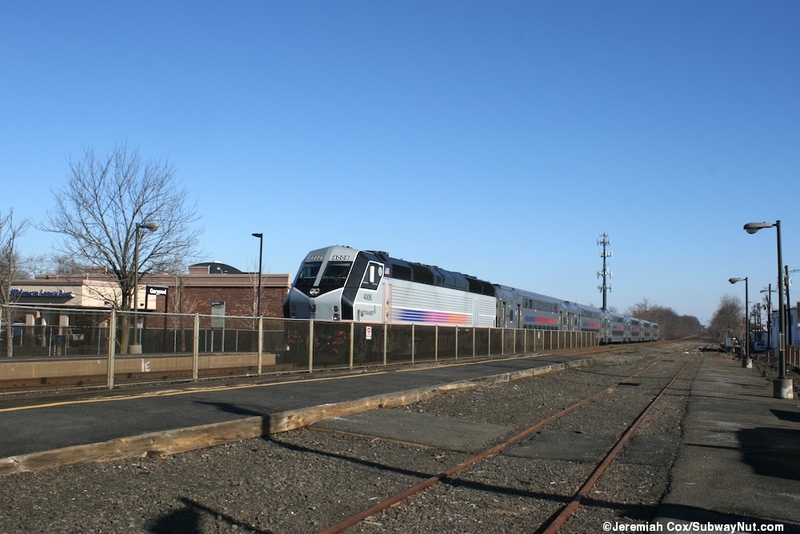 The Newark-bound platform contains a recently installed in June 2011 TVM in its shelter. 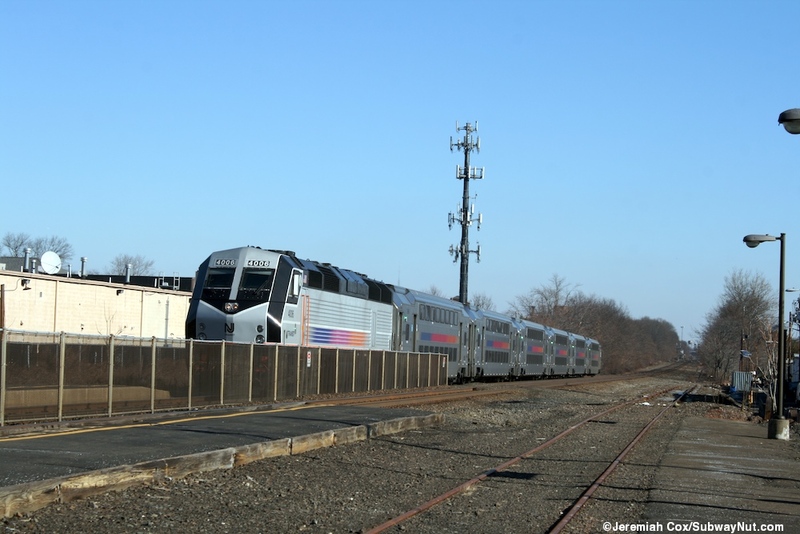 The station has the capacity for five tracks but only two are in New Jersey Transit use. 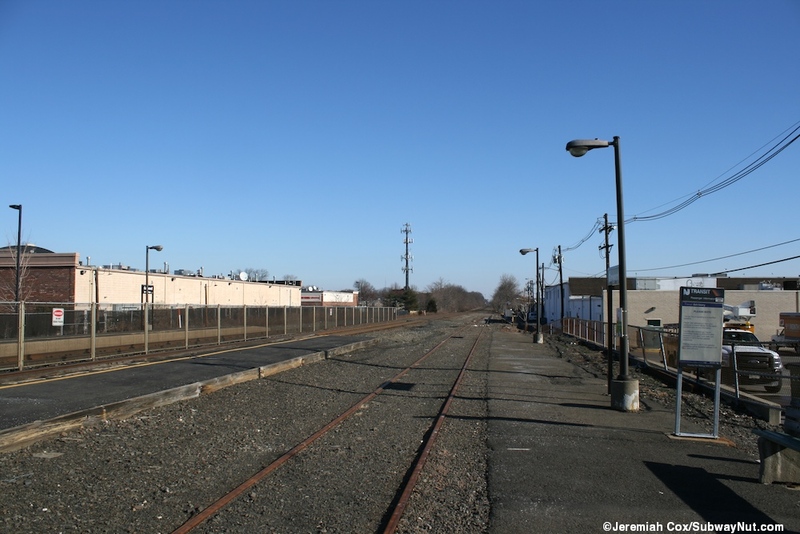 These are the two second to northernmost tracks on the Raritan-bound side of the ROW and have a fence running between them. 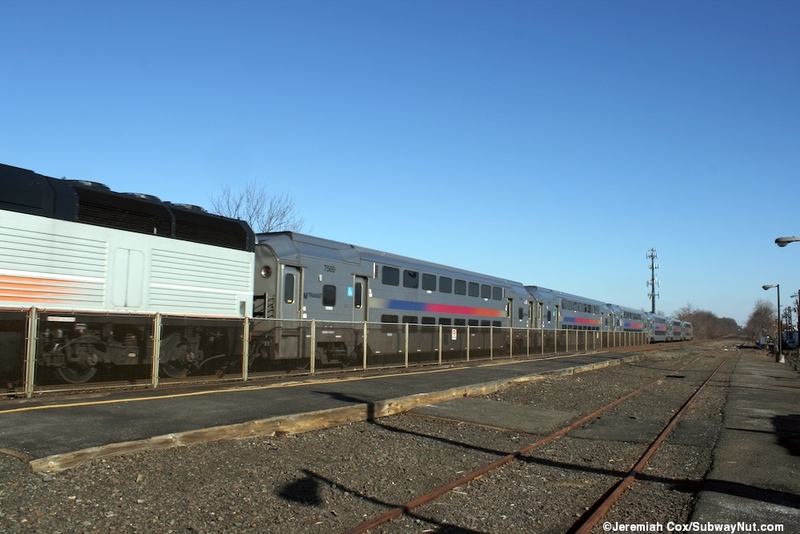 This means that the Newark-bound side actually has two low-level side platforms. 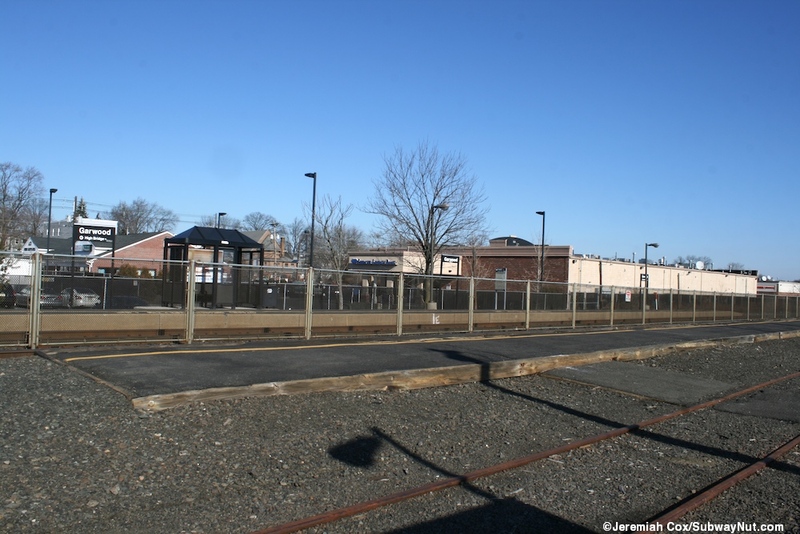 One is along the edge of the ROW and a simple concrete walkway crosses over an abandoned looking freight track, before arriving at a simple and short low-level platform with just a yellow line and no amenities. 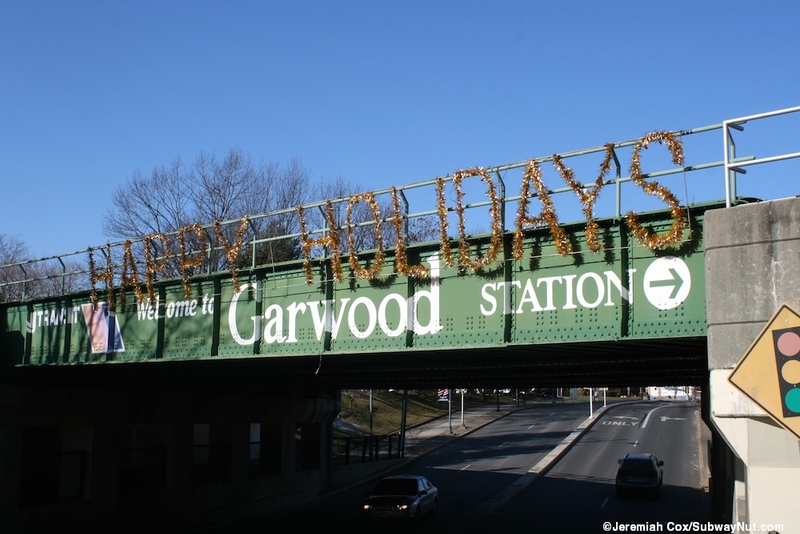 All signage is along the actual and not new side platform. 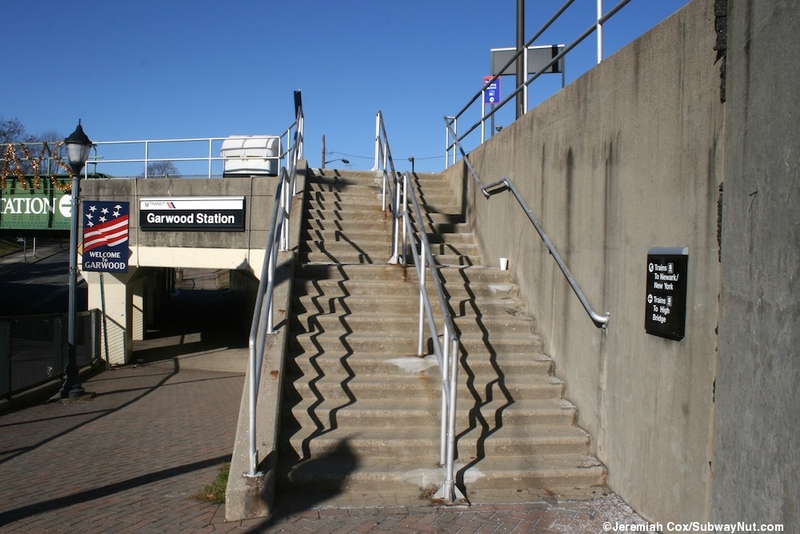 Access to the platforms is primarily up a staircase to each platform from the east side of the underpass of Walnut/Center Street (its name changes). 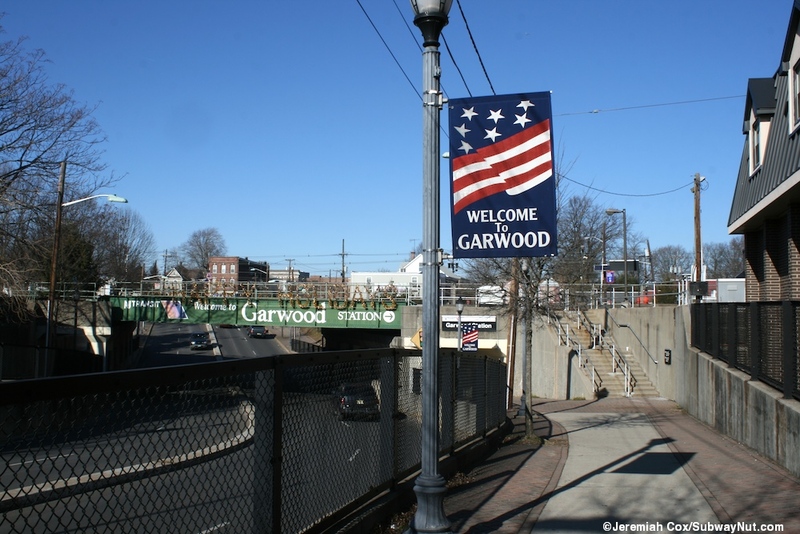 This bridge is painted green with the Welcome to Garwood sign. 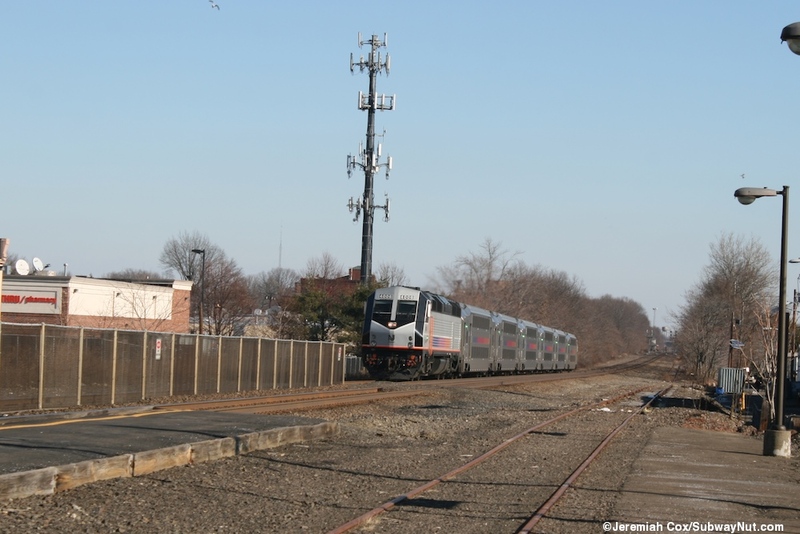 This is the only legal way to reach the Newark-bound platform but there is also a fence with a gate that leads to the parking lot of a strip-mall (no parking for train riders). 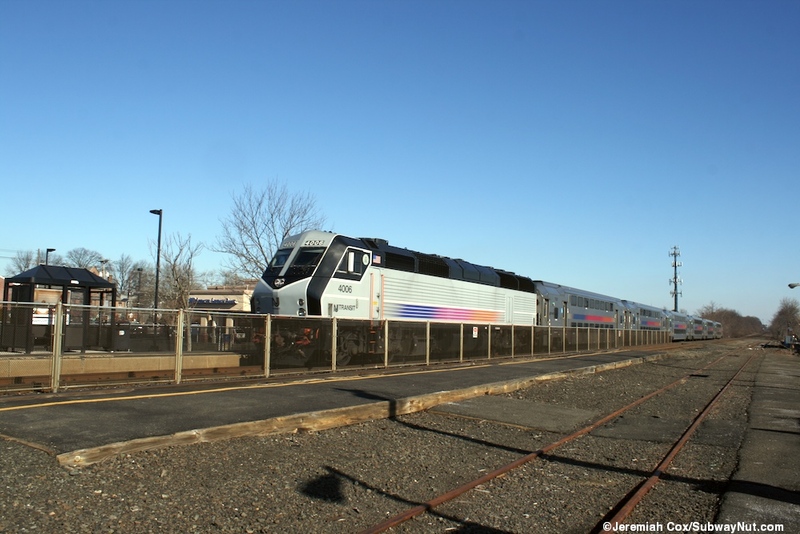 The Raritan-bound platform has an additional shorter staircase that leads down to a bicycle rack and a small parking lot that is not for rail passengers has signs say. 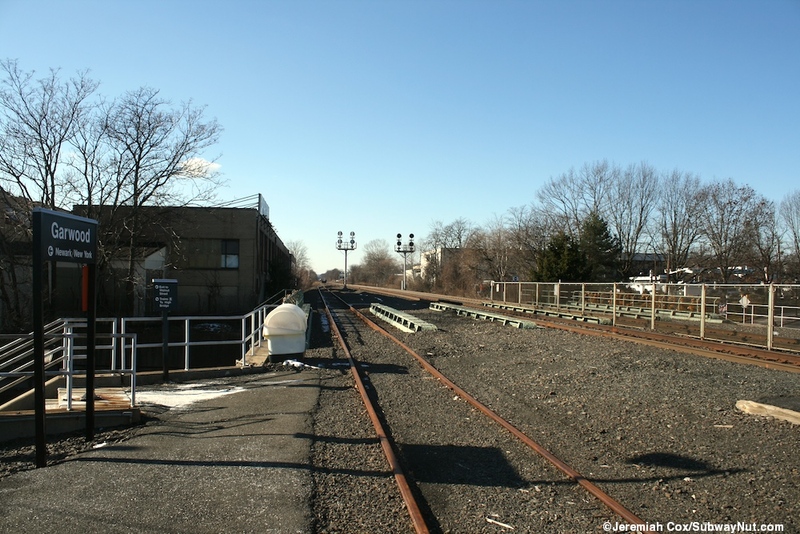 The Raritan-bound platform looks like it is also on a former track bed since the underpass has room for it too to cross and appears to be there were once five tracks at this station.